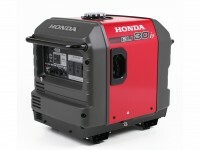 The Honda EU30iu Handy Inverter Generator is the lightest and most portable 3000 watt generator Honda’s ever made. 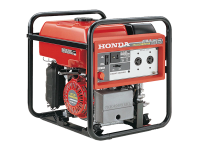 It features built-in wheels, fixed handles and a folding handle to allow for easy movement of the generator. It also features a microcomputer-controlled sinewave inverter that guarantees commercial-quality electricity – making it ideal for use with frequency-sensitive electrical equipment such as laptops. And the EU30iu Handy also uses a high-speed multi-point alternator that is integrated into the engine itself. This technology reduces the overall weight and size by 25% to 50% compared to similarly classed conventional models, making it easy to move around. 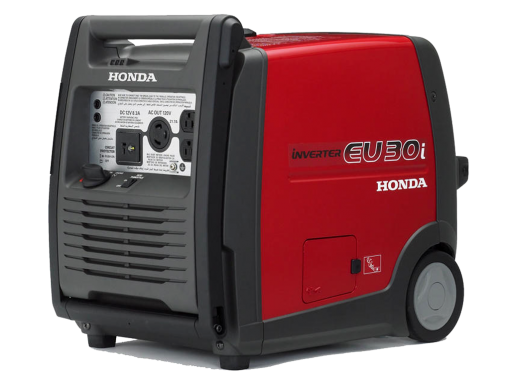 The Honda EU30iu Handy Inverter Generator features an Eco-throttle, which adjusts the engine speed to meet the load demand. This increases fuel economy whilst also reducing noise as the engine is not required to run at full capacity unnecessarily. The generator is Parallel Connection capable. This feature allows two EU30iu Handy generators to be quickly and easily linked using a special parallel connection cable to double your output to 6Kva. 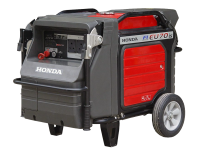 With low operating noise level and enough power to be used in a wide range of home, recreational and professional uses, the Petrol Generator EU30iu Handy incorporates all of Honda’s portable power technology. It might seem fairly obvious, but one element of the Handy that sets it apart fromt he rest is its sturdy fold-down carry handle and large-diameter wheels. You’ll get up to 7.7* hours of continuous operation on a full fuel tank, it’s lightweight (35kg) and last, but not least, the EU30iu Handy is environmentally friendly with low emissions, less noise and low fuel consumption. A 4-Year Domestic Warranty and 1-Year Commercial Warranty ensure that no matter how hard you work your EU30 Handy, Honda’s got you covered. 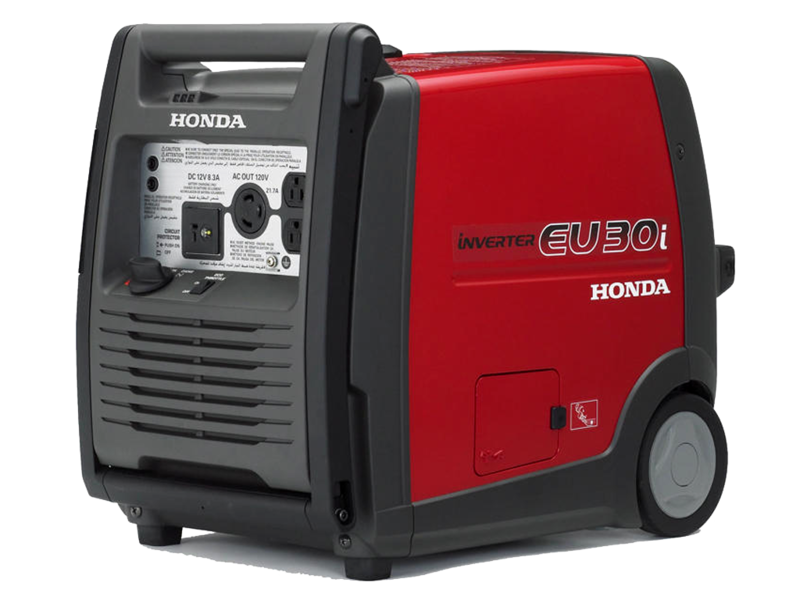 The EU30iu HANDY uses Honda’s advanced four-stroke GX160 engine for a maximum power output of 3,000 watts AC, making it ideal for a wide variety of domestic & commercial applications. Categories: Camping and Leisure, Residential and Commercial, Industry and Mining, Mining and Construction, Industry Generators. Tags: 3000W, 3kva, back up, caravan, domestic, EU30 Perth, EU30Iu, Generator, generator perth, Handy, Honda, inverter, Midland, Perth, power, Western Australia.